ATTEND – Save the Date! 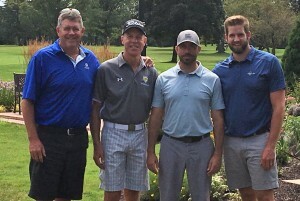 The RLHS 31st Annual Golf Outing is Monday, August 5, 2019. Click here to register online for the Golf Outing or here to print off a registration form to print and mail. SPONSORSHIP OPPORTUNITIES – This is an opportunity for individuals or businesses to showcase their support of the school and receive public recognition in the form of advertising or promotion at our Golf Outing. Sponsorships help maximize the amount of money raised at the event. 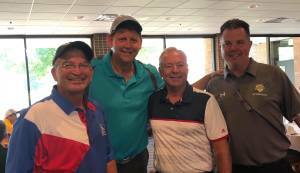 UNDERWRITING – In an effort to make each dollar raised at the Golf Outing count, friends often choose to make a donation for the purpose of underwriting an aspect of the event’s program. Helping to pay for food, take-aways, printing costs, and other options maximizes the income potential of the event by offsetting the direct costs. DONATE PRIZES – Our door, contest, and raffle prizes are supported by donations from the community and we are always accepting items or unique experience packages. If you are interested in attending, sponsoring, underwriting or donating to the Golf Outing, please contact Krista Long in the Development Office via email at klong@racinelutheran.org or by phone at 262.637.6538.